The ring is beautiful, even better than the pictures! I can't wait to give it to my fiance! 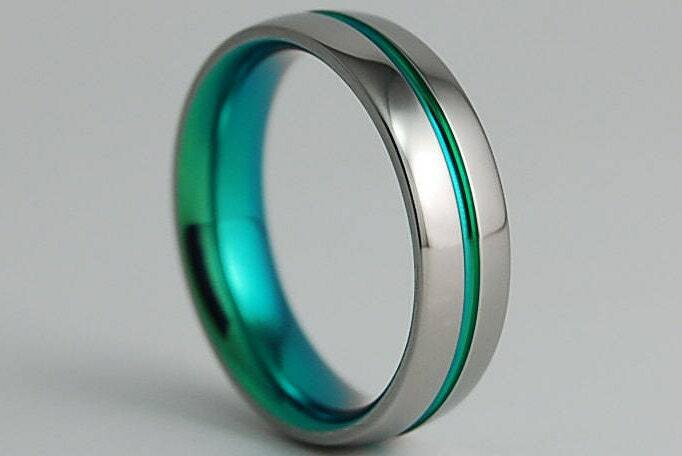 My husband loves his wedding ring. It is the perfect color and style for him and is lightweight and durable. It arrived on time and in perfect condition. It fit perfectly. Bought as a gift and absolutely love it! I asked for it to be engraved which came out great, nice font and easy to read. The colour is bright and exactly like the picture. Delighted, fits perfectly. Thank you!